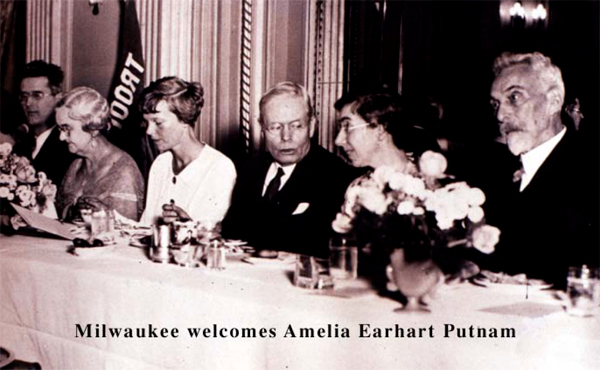 The 1930’s saw our club contributing to community funds, scholarships for girls, and speaking out for the rights of women to serve as jurors and against discriminatory legislation affecting women in the workforce. 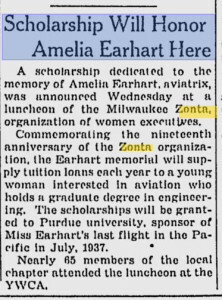 On October 28, 1932, Amelia Earhart, was feted at an honorary banquet, sponsored by women’s business and professional organizations that included the Zonta Club of Milwaukee, at the Hotel Astor in Milwaukee. 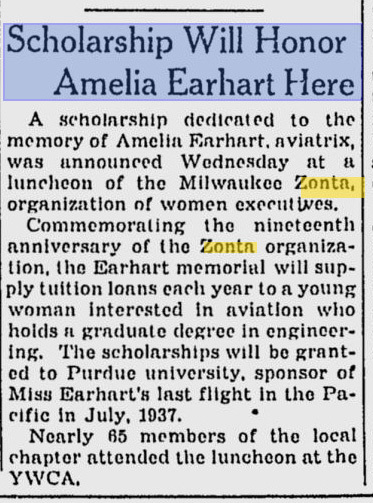 Zonta was the only non-aviation organization to which Ms. Earhart belonged.